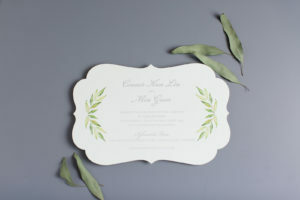 A watercolor laurel of greenery frames a calligraphy script. 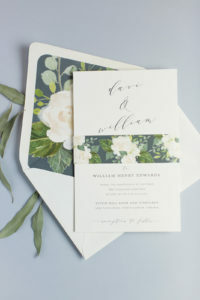 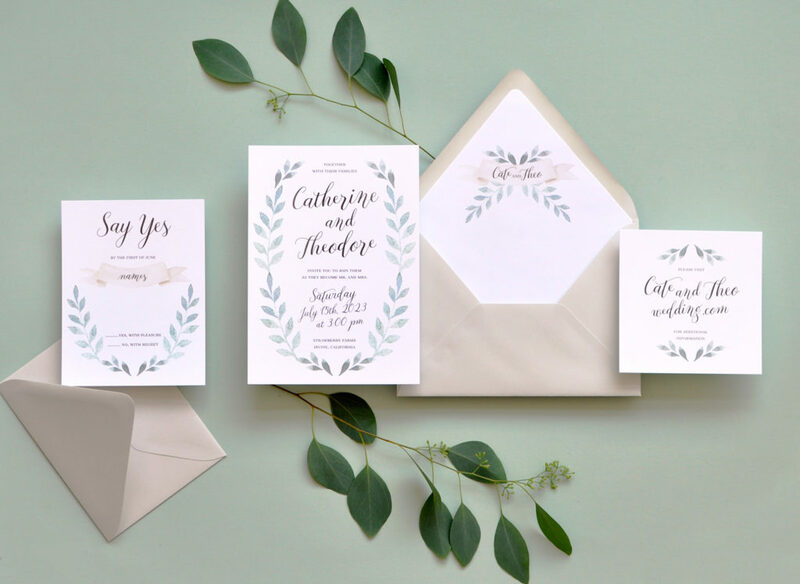 Personalized envelope liner features greenery and a blush banner. 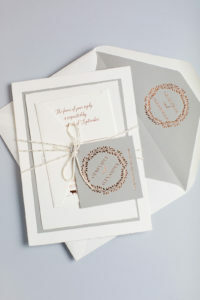 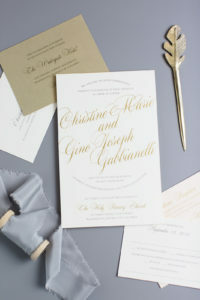 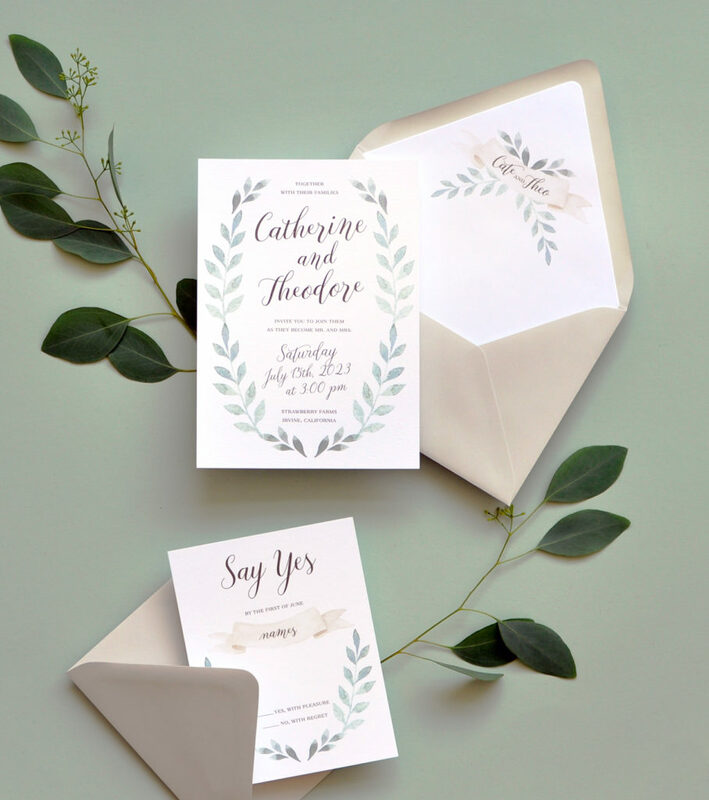 Perfectly paired with light gray envelopes.